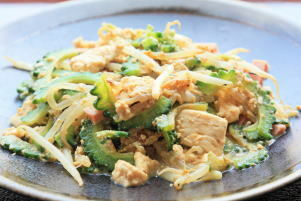 Goya Chanpuru ('ゴーヤチャンプル', is classified into stir frying), is known as Bitter Melon Stir Fry with Tofu and Egg in English, and 鸡蛋豆腐炒苦瓜 (Jīdàn dòufu chǎo kǔguā) in Chinese. Bitter Gourd Stir Fry with Tofu and Egg. Vegetable, Bean Curd, Bitter Melon, Salt, Oil, Pepper, Egg. 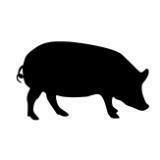 Meat (Pork , Chicken), Fish, Ham (Pork , Chicken), Soy Sauce, Sugar, Vegetable (Carrot, Onion, Tomato).